Simple, fail-safe bistro cuisine served in a stylish setting. 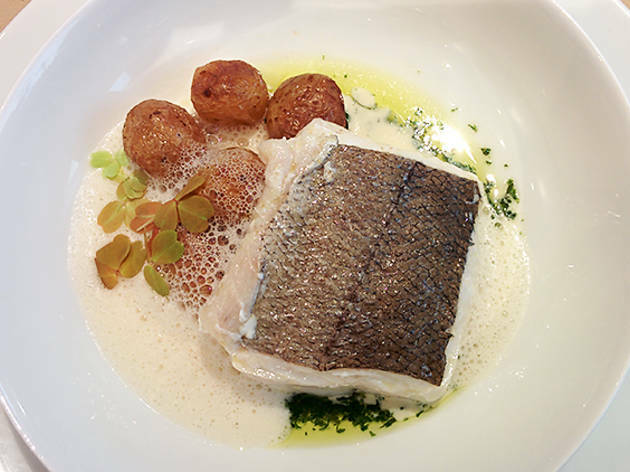 Located in the heart of the 16th arrondissement, Quinte is a modern, stylish take on the Parisian bistro. Past the understated frontage and emerald green curtains lies a warm welcome and menu of fine French classics. The atmosphere is calm and the decoration is simple, with plenty of wood, leather furnishing and soothing pale colours. The kitchen emphasizes fresh seasonal produce cooked using simple traditional methods. The menu changes every three weeks, with four different dishes available for each course. Sometimes the dishes are based around meat or fish, sometimes around a simple vegetable like beetroot. 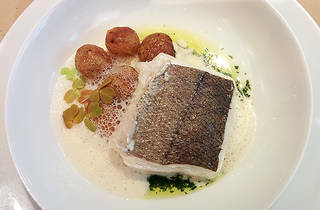 We sampled a succulent chestnut velouté, followed by fillet of sea bass flanked by roast potatoes seasoned with sage. For pudding, a brilliant crème caramel and a homemade wafer curl, accompanied by an espresso. Prices are unsurprisingly high (think €12-€22 for starters, €24-€36 for mains and €9-€13 for desserts), but there’s a decent value set menu at lunch (€29 for a starter and a main).